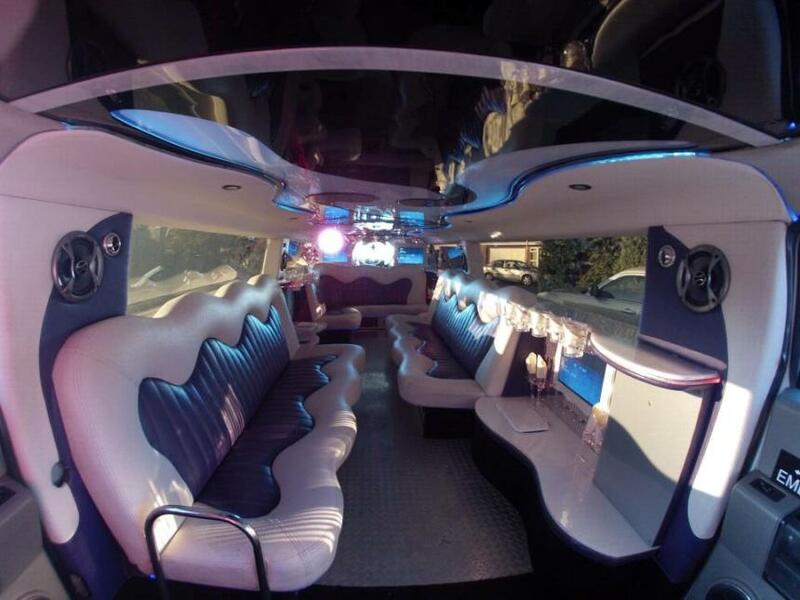 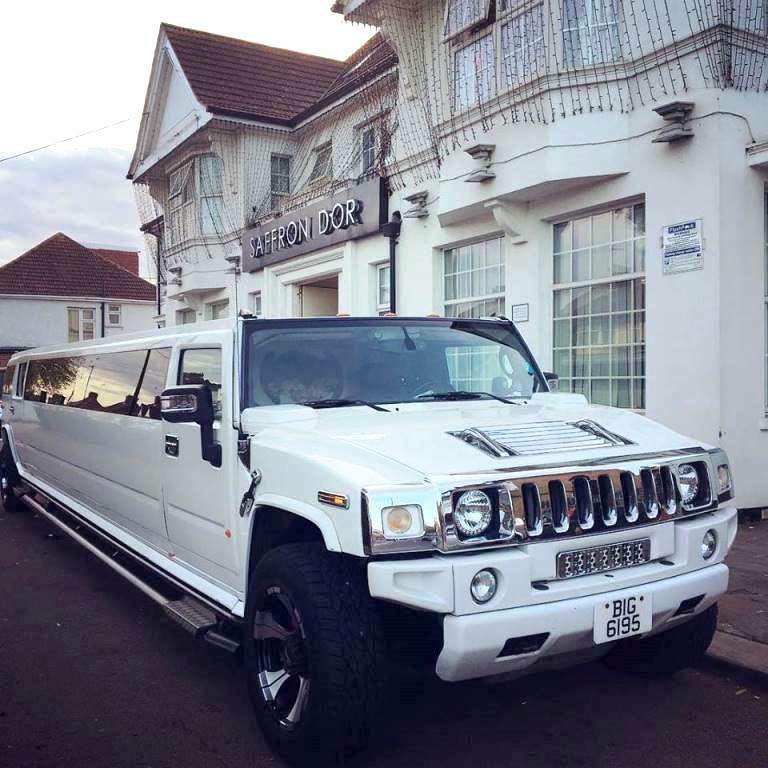 15 seat White Hummer Limousine for weddings and event hire. 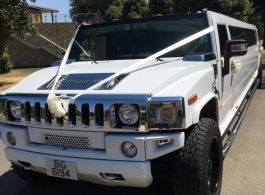 The top of the range Hummer comes with TVs, DVDs, stereo sound, neon lighting, lasers and fibre optics. 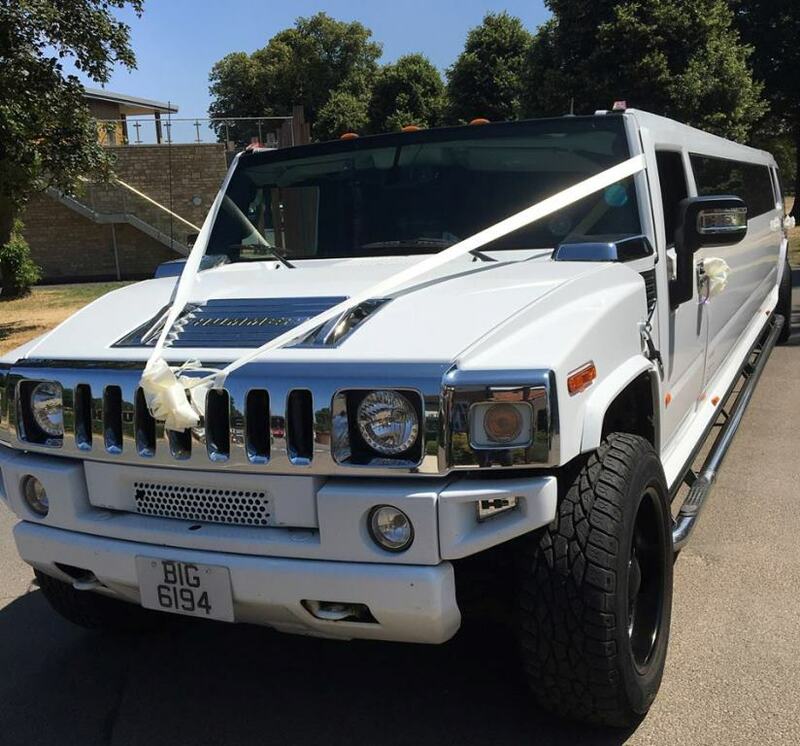 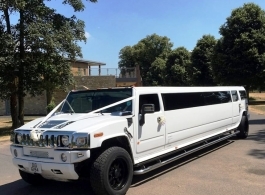 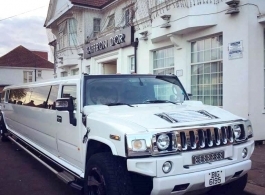 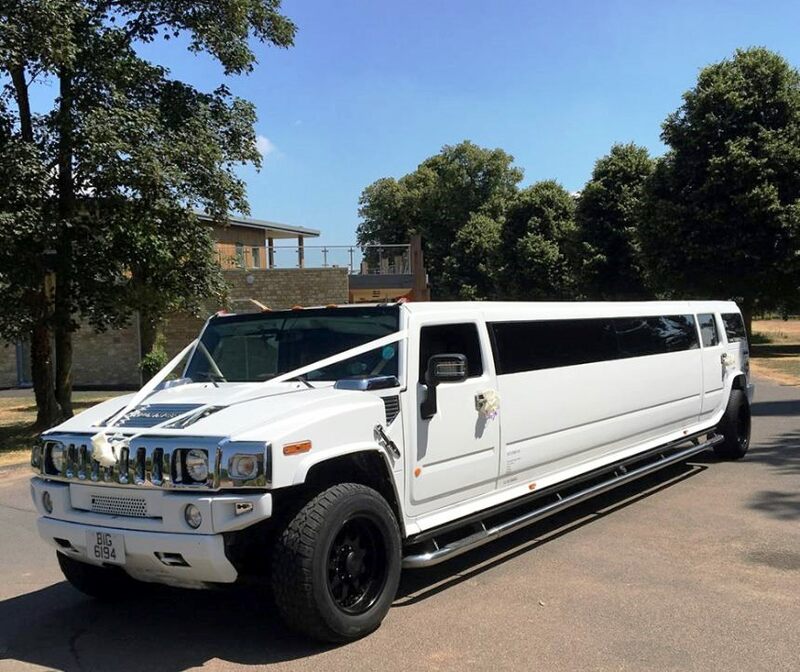 Hummer Limousines are the perfect choice for wedding guests, Bridesmaids, Grromsmen etc and are also great for proms, hen and stag nights, birthdays and any other special occasion. 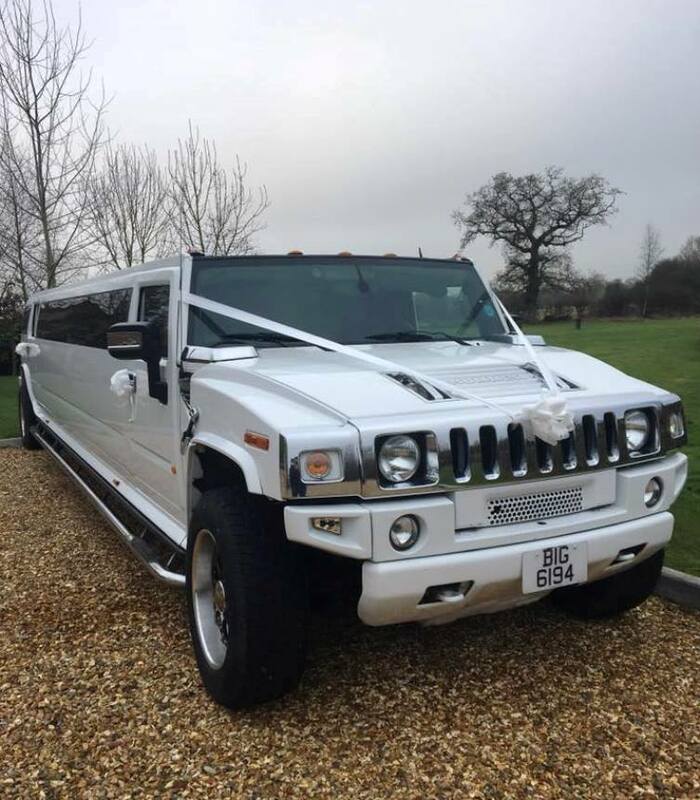 The Hummer is fully legal, is regularly safety checked and for wedding hire it includes a uniformed professional chauffeur, ribbons and bows plus complimentary bubbly. 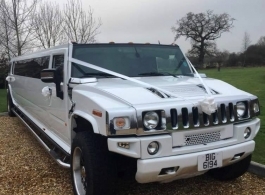 Please note: There are 2 Hummers in this fleet and the interior image shown is from one of them, the interior in the other Hummer is very similar.